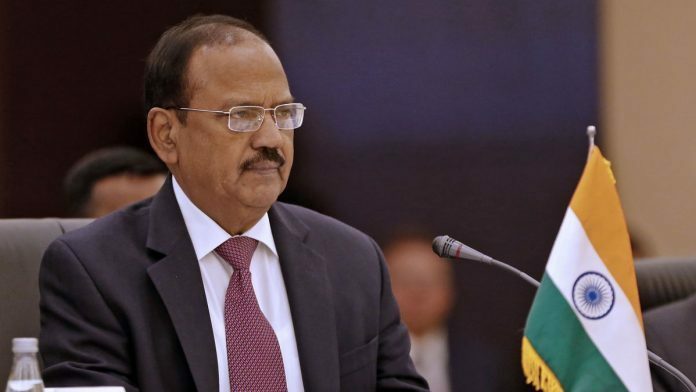 New delhi: National Security Adviser Ajit Doval on Tuesday issued another warning for Pakistan and said that the country has not forgotten the Pulwama terror attack on a CRPF convoy and more action will be taken against the terrorists and those who support them. “Whenever we have meetings and discuss which force to send, how many battalions should be sent and where. We always say send CRPF, it’s a credible force and we can completely trust them. It takes years to achieve such credibility,” said Ajit Doval at the CRPF event in Gurugram on Tuesday. Doval saluted the 40 jawans who were martyred in the Pulwama terror attack when a Jaish-e-Mohammed terrorist rammed an explosive-laden SUV into a CRPF convoy on February 14. “I pay my tributes to the 40 CRPF men who laid their lives in Pulwama,” said Doval at the event. 40 occupants of the CRPF vehicle were killed on the Jammu-Srinagar national highway. Twelve days after the terror attack, Indian Air Force (IAF) fighter jets entered the Pakistani airspace and destroyed one of the biggest Jaish terror camps in Balakot. Pakistan raised an alarm and attacked India in retaliatory action but failed to have an impact. Now, NDA Ajit Doval has clearly hinted that more action will be taken against Pakistan which has been accused of supporting harbouring terrorists like Masood Azhar, whose Jaish-e-Mohammed claimed responsibility for the Pulwama attack. India reached out to the international community to put Masood Azhar in the United Nations Security Council’s (UNSC) list of global terrorists. Several world leaders, including those from France, Australia and other countries stood by India’s demand to ban Azhar. However, China has once again vetoed yet another attempt to put Masood Azhar in the list of global terrorists.